Last time we met Ibibio Sound Machine it was a little more than a year ago. They were “still” one of the most interesting bands enriching the London music scene. 12 months or so later, we find them as a “global music phenomenon”, with an exciting new album, new label and ongoing world tour. We will meet them again in London on the 23rd of October when they’ll energise Scala with their upbeat highlife, afrobeat and funky sound. But before that, we reached Eno Williams, frontwoman of the band, to understand what’s happened in the last year and where Ibibio Sound Machine are heading to. “In some way, we have taken our place in the London scene [she laughs]. No, I mean, that’s what we do: our music is very energetic and we bring together African lyrics with electronic sounds, synths, highlife and afrobeat… That’s what keeps the vibe and energy in. We just keep those elements and feelings going and that’s what people really like about the band. In the last 12 months, our second album came out [titled Uyai and published in March] and we moved from Soundway to Merge Records. We were pretty much done with the second album more than a year ago, when we still were with Soundway. So, I can’t say that the move from one label to the other really changed our sound. We are very, very thankful with Soundway because they picked our first record and put it out. We will always be grateful for what they’ve done and how much they have helped us along the way. At the same time, we are also grateful to Merge, because they came across and helped us take the next step. Moving to Merge was the beginning of a new chapter in the Ibibio Sound Machine experience. We wondered if the band is following a path considering their growth. “We never thought about an overall path or route to follow, but I can say there’s a path in Ibibio’s lyrics, what we speak about in our songs and how we use the language from the South Eastern part of Nigeria to narrate stories. That’s the main tapestry of our compositions. Then we mix all that with highlife, funk, electronic and a more modern Western sound, that’s to give something different to our listeners. Our sound has always been pretty much experimental and people are usually quite intrigued by that. So we are constantly looking forward to finding something new, something that has never really been done before”. Uyai, the band’s latest album is six months old… Enough time to have a quick look back, retrace its story and think over it a bit. “We started thinking about Uyai when we were on the road touring our first album. Sometimes during sound checks or being on the road, we start singing or playing new harmonies. So we always come up with new ideas and then just put them away and pile them up. So, when we decided to spend some time together in the studio, everyone came up with something: lyrics, melodies, grooves…different things. Doing that, it allowed everyone to get into the creative process. We put everything in the pot, just like cooking. We put all the ingredients down and then we found out what was working. Being everyone together made things easy: it was an organic process. We got together in the room, worked together and explored each other’s ideas”. Six months after the release of their second album and already thinking about the third one, what is influencing Ibibio Sound Machine’s creativity? “In today’s creative process we are digging deeper in the West African sound. We are listening to a lot to William Onyeabor and Victor Uwaifo. We still listen to Talking Heads and punk as well…so we listen to a lot of different stuff. I suppose that’s because England’s influences are quite diverse. Then we got – now I’m talking about myself – African music and what I listened to when I was a child, which was everything from Angelique Kidjo to Miriam Makeba, from James Brown and Aretha Franklin to Witney Houston. All those big voices and performers. Then, we also got highlife from Ghana and more percussive Cuban and Brazilian sounds. Finally, we also got a lot of electronic influences. That’s because we want to keep the electronic sound in our music”. “To be honest there’s so much going on in London. Since London is such a cosmopolitan place, there’s so much culture and there’s music everywhere you turn your head. For example, I’m really looking forward to the LCD Soundsystem gig coming up in a few days. It’s always nice to check out new sounds and what’s happening because London is really full of that”. 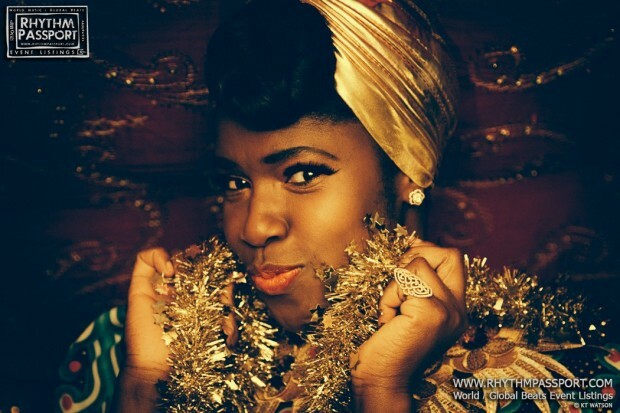 Undoubtedly, another meaningful influence in Ibibio Sound Machine music is Nigeria. The country where Eno grew up and where her roots are. “To bring my Nigerian roots in my music was more an experimentation for people to be accepting and open to it. It is something that makes me very happy, because it has always been a case of sharing the stuff I’ve been growing up with as a child and it’s like ‘ok, this is what formed my cultural background’. Since the language is quite musical, it helps me to keep the authenticity of the stories I tell, I decided to keep on with the culture as well”. When thinking about Ibibio’s songs, it is impossible not to take into consideration their lyrics. Written by Eno using the Ibibio language, they show how music can be instrumental to let people open their eyes, think about and answer to what’s happening in the world. “We’re all human beings and when things happen we all get affected. We get sad or happy about what happens in the world and we react to it in a way or another. An example is a song I wrote for our last album and titled ‘Give Me a Reason’. That came out of the story that happened in Nigeria a few years ago about the Chibok girls kidnapping. We were like in the process of writing new songs and I read about that story and I realised that since it was happening in another part of the world, people didn’t really feel affected by it. But in that case, it was happening at home, when I went to school. I once went to school in Nigeria and I was a girl just like those girls. But I felt like that would have never happened when I went to school. So how come things changed so much? Why girls today don’t have the right to receive an education? Why can’t people be free to be what they want to be? So I was more frustrated than angry. I was questioning why these things were happening. That’s how ‘Give Me a Reason’ came about”. 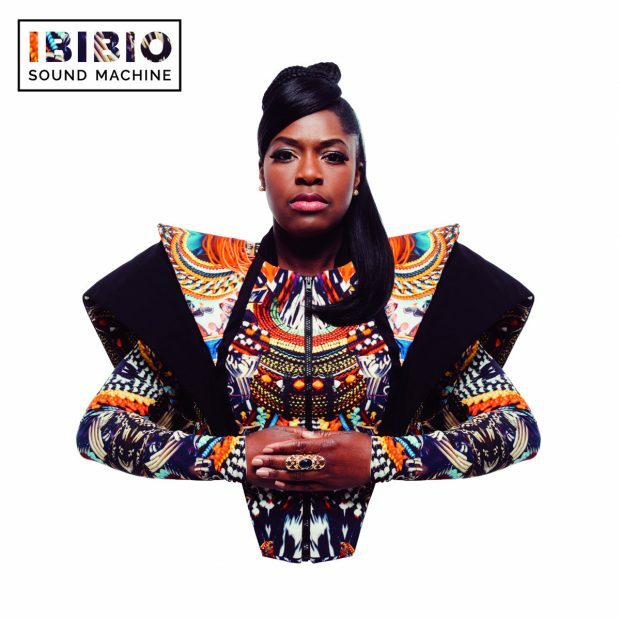 …and what are Ibibio Sound Machine going to say on the Scala stage on the 23rd of October? “Let’s dance! That’s always our mantra. Everybody come down and let’s have a bit of a boogie together. Ibibio’s music is uplifting and makes you move. We are the first ones who never get tired of dancing: we have a need of doing it, constantly keeping our music alive”.